In every Mesoamerican culture there is a term for local ‘wise people’ (the nearest we have in English is the old-fashioned term ‘sages’) - usually elders in the community charged with giving advice, guidance and support to individuals in the form of spiritual healing, carrying out rituals and offerings that pass on moral knowledge to the next generation, and maintaining the ethical values of the community. 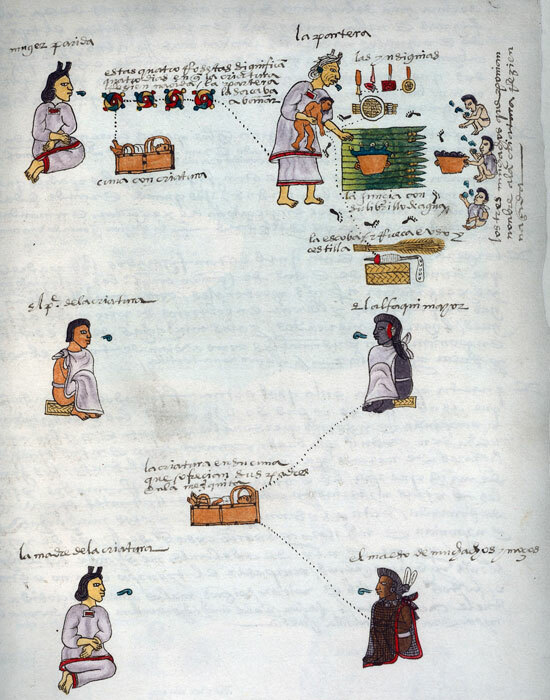 Amongst the Nahua (descendants of the Mexica/Aztecs), such people are called in Nahuatl tlamatque (singular tlamatqui) - ‘people who have knowledge’. These individuals have always been highly respected for their wisdom and experience, often passed down from generation to generation. We know that such sages were key figures in indigenous Mexican communities before the Spanish invaded. The past transcends time and space, living on in Nahua thinking and narratives, keeping alive within these communities today their world view and meaning of life on earth for future generations. And it is very much the expression of a community’s feelings rather than of any individual. ‘It is the community that speaks through these texts and not an individual. It is the community that seeks and prays for the good of the altepetl (village/town).’ At the heart of the spiritual life of each Nahua community is its relationship with (mother) earth - seen as a living entity (a gigantic reptile) with her own personal name, Maceuatenancatzintli, ‘The Venerable Mother of our People’. Mountains too are seen as living beings with names. 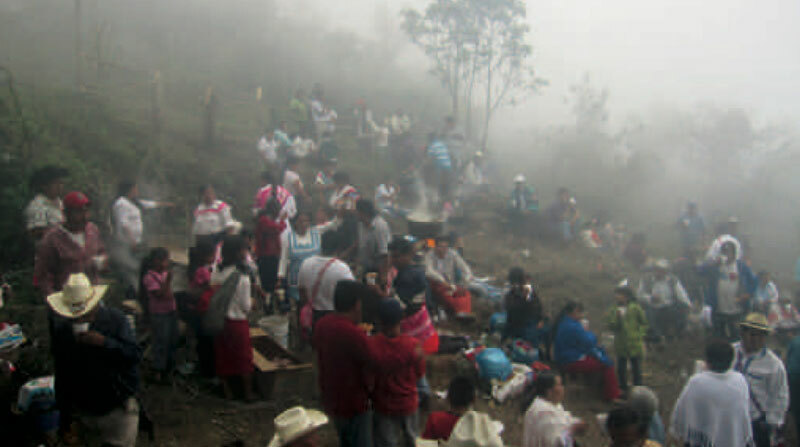 The ancient spirit that lives in a mountain continues to communicate with the sages through dreams, asking for prayers, for offerings, for the burning of copal or other incense, for the community to go and spend what we might today call ‘quality time’ with him/her at home. Mountains, in turn, are believed to be storehouses of foods, such as sacred maize. 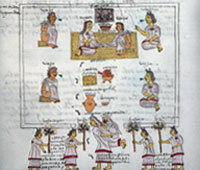 Sadly, ever since the Spanish invasion of Mexico, the role of the tlamatque has been constantly eroded, derided and stigmatised; in turn these community leaders have consistently, over centuries, been discriminated, persecuted and accused of being witches, non-believers, shamans, ‘medicine men’, ‘faith healers’ and clairvoyants and other more or less derogatory terms. Even the Spanish language has become complicit in this: local people, when speaking of the tlamatque in Spanish refer to them as brujitos (literally, little witches). 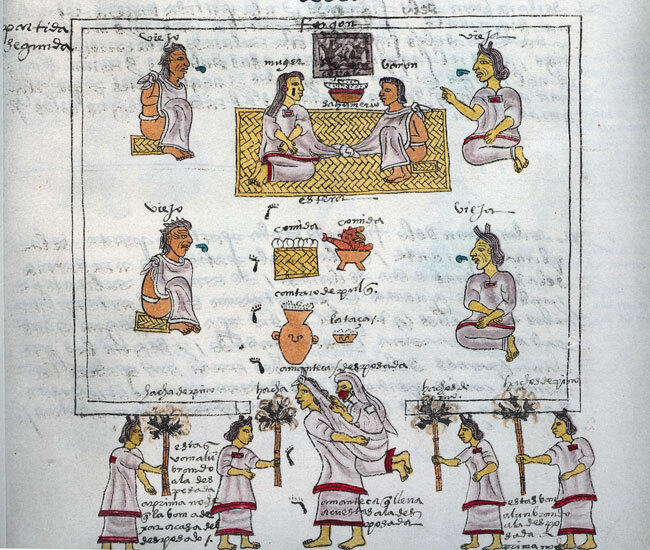 Whereas when Nahuatl is used the negative aspect disappears and they are referred to by their proper term ‘those who know things’, i.e., sages. And it isn’t just the people who have suffered this undermining of their status: parts of the sacred landscape have too. 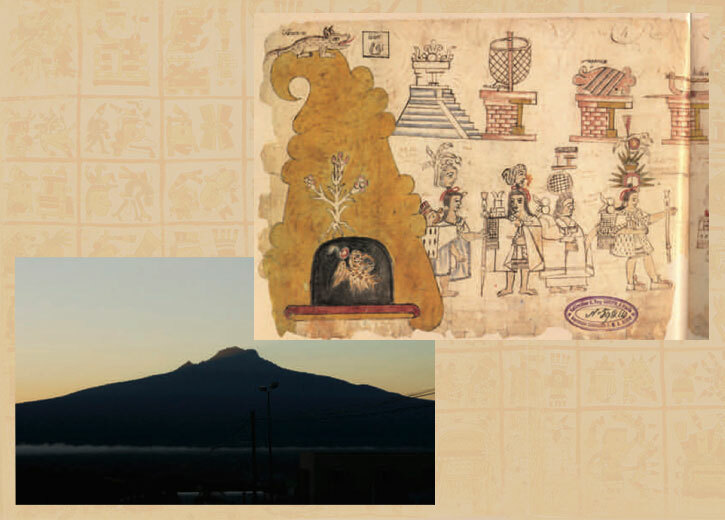 Dr. Martínez cites examples of mountains near his native community that are referred to by the Spanish term cerro brujo (‘witch mountain’) whereas in Nahuatl the original name means ‘good mountain’. Dr. Martínez rails against what he calls this ‘offensive discriminatory terminology’. The tlamatque have traditionally been revered as individuals who know, use and perform sacred language and rituals, who are able to speak with gods and ancestors - often through the medium of dreams - and who maintain religious life in Nahuatl communities. 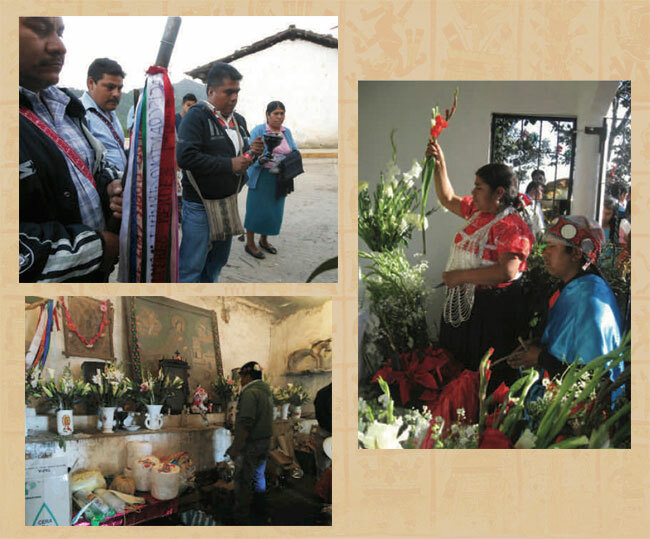 The fact that they have survived through centuries of repression is a tribute to the strength and resilience of Nahua culture, to the value placed - since long before the Aztecs - on respect for elders and ancestors throughout Mesoamerica; testament indeed to a culture that, far from being ‘dead and gone’ and belonging to the past and to the vencidos (‘defeated’), is very much alive, has warmth, essence and a presence today - the Mesoamerican vision of the world. • Pic 5: photos by Valeria Ramirez Corona, except bottom left photo by Raúl Macuil Martínez.